Let go of all the problems and sticky situations of the week and remember all the good things that happened. 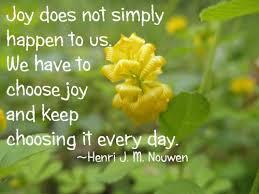 Joy is a state of high-vibration which brings a powerful positive energy which helps life flow with ease. If you need to make any decisions, choose the path that brings you the most joy. And don’t forget to thank your angels and guides. Giving thanks places you in an energetic position to receive more abundance. This entry was posted in happiness and tagged attitude, divine guidance, divine life, divine love, divine message for the weekend, divinelovedivinelife.com, gratitude, inspiration, inspirational, Inspirational Quotes, joy, letting go, positive attitude, positivity, spiritual, spiritual guidance. Bookmark the permalink.